Tai chi originated in China as a martial art, and has been known for centuries as a mind-body practice that brings practitioners fitness, health, and wellness. Tai chi originated in China as a martial art, and has been known for centuries as a mind-body practice that brings practitioners fitness, health, and wellness. It is a kind of moving meditation that involves gentle, graceful movements together with deep breathing which stimulates your body's natural healing abilities. I have created a modern program with gentle exercises targeting the major health issues that women face. Stress comes in many forms and affects people of all ages and all walks of life. Women are socialized to be the caretakers of others. Often women have a career outside the home while still trying to juggle their traditional responsibilities after hours. As a result, women sometimes spend less time nurturing their own emotional and physical needs. As women progress through life's stages, the hormonal balance associated with premenstrual, postpartum and menopausal changes can affect our chemical vulnerability to stress and depression. 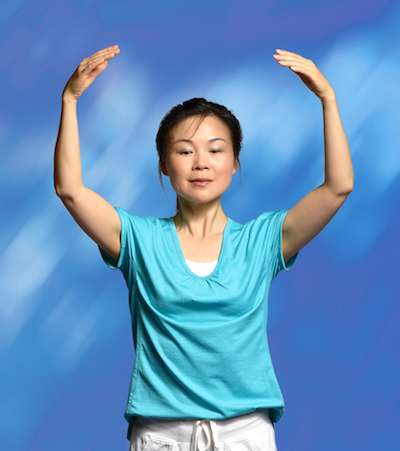 Tai chi practice can help to reduce anxiety, depression, and stress. Tai chi can help you to prevent and heal stress-related disease, such as fibromyalgia and others, by teaching you to relax more deeply and for longer periods of time. It can help to calm the nervous system and improve your mood by boosting mental focus and decreasing negative thoughts. Women have less bone tissue than men. If a woman's period is absent for long periods of time prior to menopause, she can be at higher risk for osteoporosis. There can also be dramatic bone loss for post menopausal women as your estrogen decreases. Tai chi can improve your bone density with its low-impact, weight-bearing movements. By slowly shifting your body weight from leg to leg, you may stimulate bone formation, and strengthen your bones and leg joints. Women of all ages should be concerned about heart disease. The older a woman gets, the more likely she is to get heart disease. According to research, more women who have heart attacks die from them. The gentle, adaptable nature of tai chi makes it a pleasant and safe exercise for those with existing heart disease and an excellent way to prevent circulation problems for anyone. 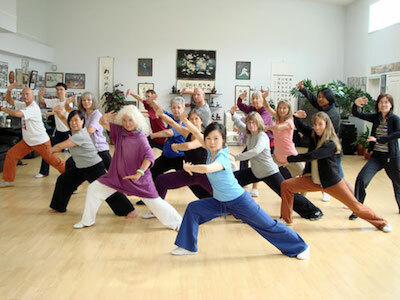 Tai chi movements are slow and deliberate with shifts of body weight from side to side in coordination with upper body movements, sometimes with one leg in the air. This challenges and exercises your balance and helps to improve your mind/body awareness, which can reduce your risk of falling and being hurt. Fall-related injuries are the leading cause of death from injury and disability among older adults. Tai chi also improves your muscle strength and flexibility, which can help to prevent falls. Another disease that occurs more frequently in women than men is arthritis due to biological, hormonal, and genetic predisposition factors. Tai chi can prevent and relieve arthritis by conditioning the muscles so that the joints can be better supported and protected. Tai chi also increases suppleness and flexibility, which will promote better circulation of qi (energy), blood and bodily fluids and thus reducing stiffness. One of the most beneficial aspects of tai chi exercise is deep relaxation. Modern science has proven the amazing health benefits of tai chi and meditation. Its important that you find some time each week to focus on taking care of yourself. Find a relaxing place where you can tune into your body, and get some mind/body exercise. I hope you can immediately feel better, more energized, and peaceful by viewing this video.